Natural ways to keep ants out of your kitchen. There are so many different species of ants and when they decide that your kitchen is their new home what are you going to do. Ants are robust and programmed to source out food to bring back to their nest so they can feed the queen ant. Unfortunately ants don’t discriminate and will go to homes that are clean. Whether you have ants that are scattered or in straight lines here are some natural ways to get rid of ants? Herbs such as mint, basil, thyme, lavender and rosemary are a natural deterrent as ants cannot stand the smell. Place the bouquet of herbs around doors and window frames. Place cucumbers directly in the ant’s path as it will deter ants out of the kitchen. Ants love eating cornmeal but unfortunately once they consume the cornmeal they will not be able to digest it and will eventually end up exploding. Cayenne pepper, salt, cinnamon, baby powder, chilli powder and coffee grounds make great deterrents. All you need to do is place one of the above in lines and the ants will not be able to cross the lines. Dilute 3 parts of vinegar and 2 parts of water in a spray bottle and start spraying those pesky little buggers. 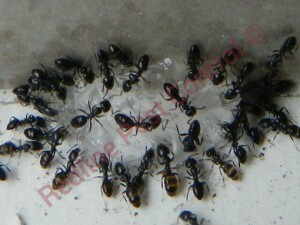 Check and cracks and crevices and seal them up so there is no entry point that the ants can get through. Break up little pieces of soap and mix it with water, place around entry points. 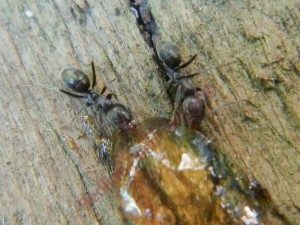 There is a component that is in the soap that poisons the ants. Make sure that you wipe all surfaces and mop all floors.